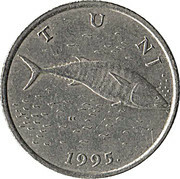 In the central part of the coin is shown tuna turned right. 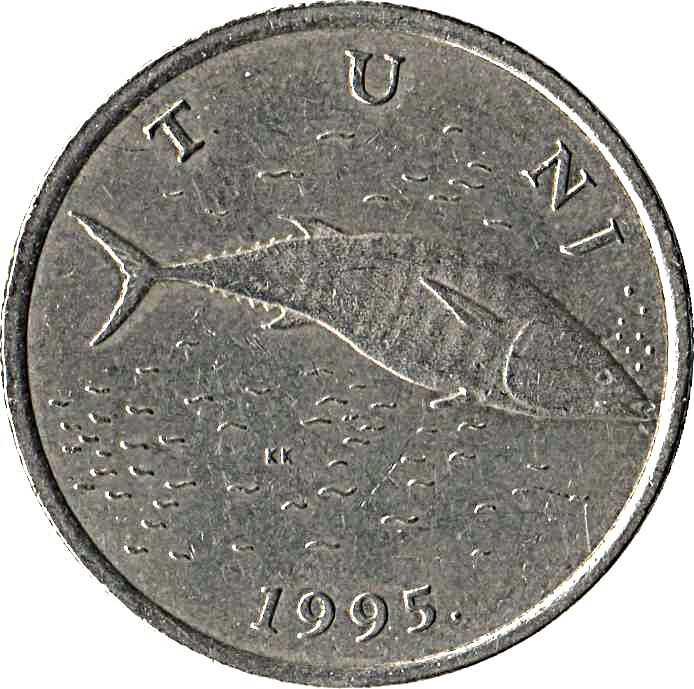 Above the tuna around the upper edge is written Croatian name of tuna (TUNJ). Around the lower edge, in the central part, is written the year of minting (1995.). Signature KK. In the upper half-circle is placed marten running to the right. 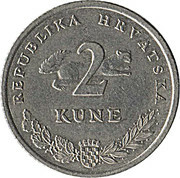 On the outstretched marten's body is written the upright value of the coin "2". Under the number "2" is written KUNE. Along the edge of upper half-circle is written The Republic of Croatia on Croatian (REPUBLIKA HRVATSKA). Along the lower edge, in the central part, is placed the coat of arms of The Republic of Croatia. On the right side of the coat of arms is laid stylized laurel twig in bloom and on the left side of the coat of arms is laid the sprig of oak tree with fruit. 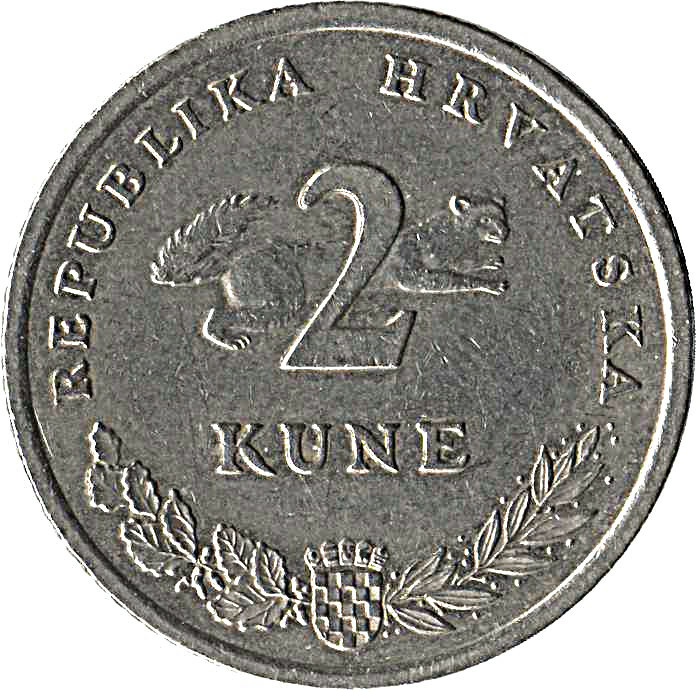 The engraver of the coin, Kuzma Kovačić, was distinguished Croatian academic sculptor.